Not a moment too soon, Hublot, Official Timekeeper of the forthcoming 2014 FIFA World Cup Brazil™, is starting its countdown to the event by celebrating the country's capital, Brasilia, and paying tribute to its creator, Oscar Niemeyer. 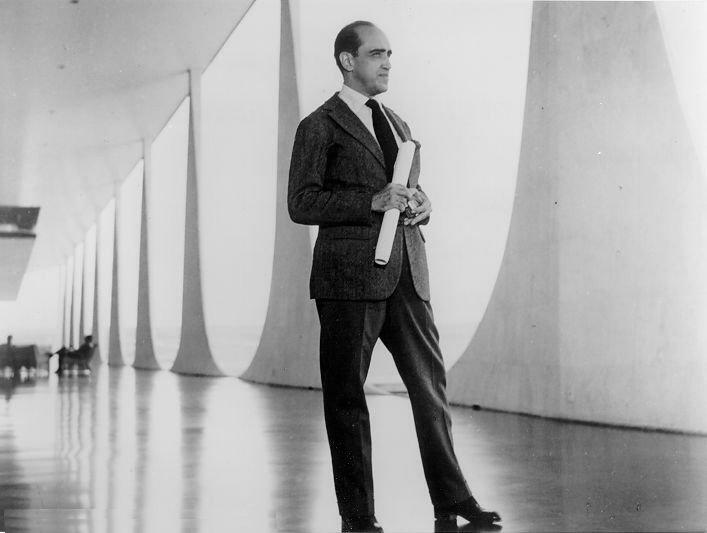 Architect of the futuristic city, and symbol of modern Brazil, Oscar Niemeyer planned and designed Brasilia from the ground up and is one of his country's most celebrated figures. 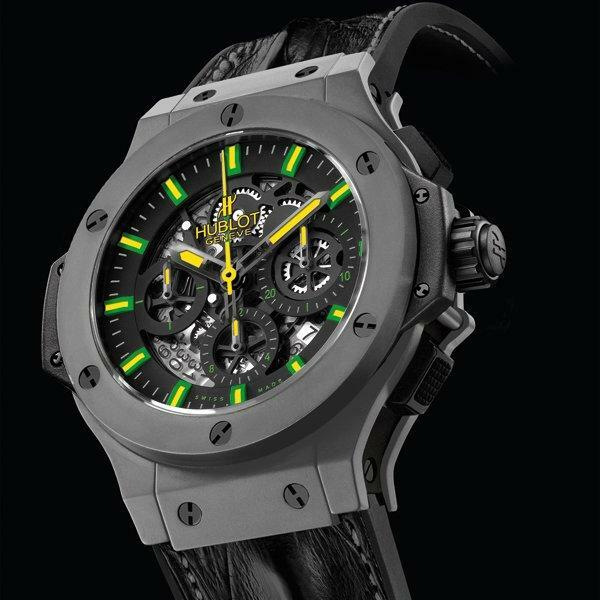 He is also recognised as one of the most well-known architects of the 20th century, and has agreed to work with Hublot. 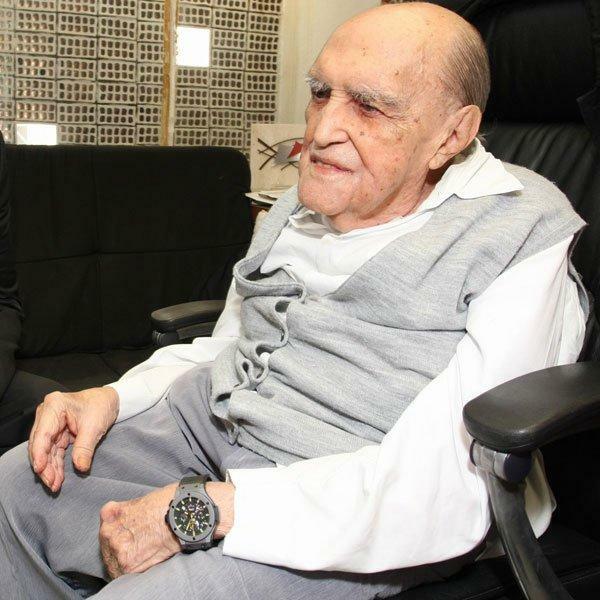 In his honour, and to celebrate his 104th birthday at the end of 2011, a special series named "Aero Bang Niemeyer" will be created, limited to just 104 pieces. Recently Rick Delacroix, President of Hublot Latin America, presented Oscar Niemayer with the watch that bears his name, engraved with the number 104/104. 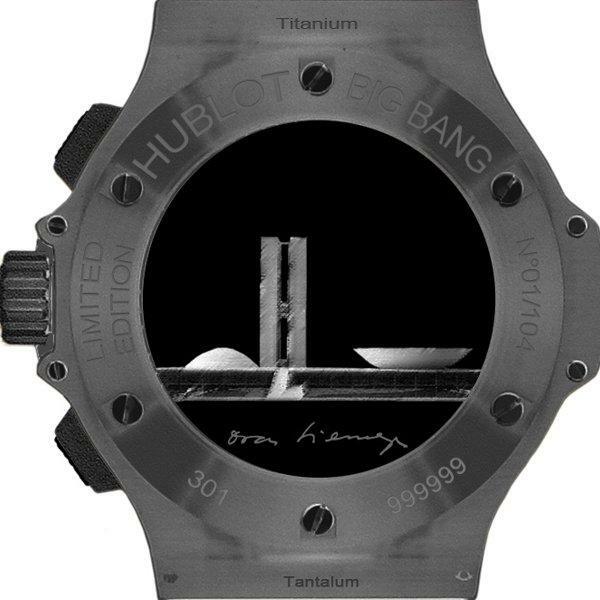 Created from tantalum, the Big Bang "Aero Bang Niemeyer" comprises a matt black skeleton dial which allows the beautiful "architecture" of the Chronograph calibre HUB4214 to be fully appreciated. The yellow and green colours subtly applied to the indexes and hands are a clear reference to the colours of Brasilia. The 104 numbered pieces will of course be available in Brazil, exclusively from Griffith in Brasilia. Born in 1907 in Rio de Janeiro, Brazil, Oscar Niemeyer is one of the most famous architects in the world, and his creations form a major part of the heart of Brasilia, as well as the cities of Rio and Sào Paulo. Responsible for the realisation of more than 600 projects, the architect has also left his stamp on a large number of European countries and the United States, most significantly through his work on the construction of the UN headquarters. A great lover of freedom, he is regarded as one of the great symbols of contemporary architecture.